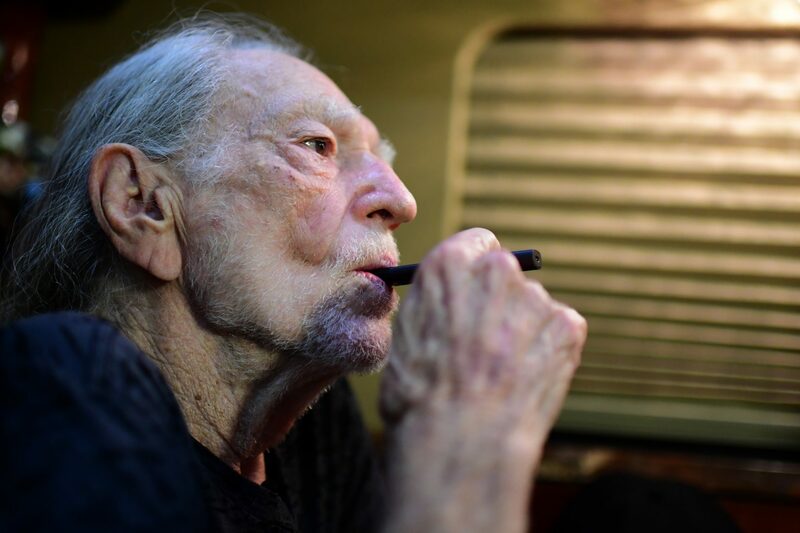 Willie Nelson and marijuana are often spoken together and for good reason. As one the earliest advocates for the use of cannabis, Nelson never hid his love for the Miss Mary Jane. 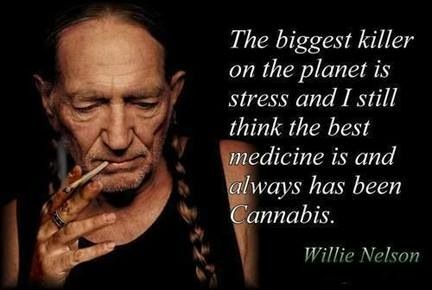 He created a dynasty around the herb in his own cannabis company Willie’s Reserve. Found at the Smokin Gun Apothecary, you find Willie’s Reserve joints and chocolate edibles – Anne’s (Nelson’s wife) own recipe. Every legend has a beginning. So how did Willie discover marijuana? In his twenties, he met a man at a bar in Fort Worth, Texas. The man offered him a joint, which he accepted. Interestingly, Nelson describes his first experience with marijuana left him with much to desire. He never felt that psychoactive high consumers report feeling. After months of casually smoking, Willie finally felt his first buzz. Believing the medicinal properties of cannabis, Nelson never used marijuana recreationally. Marijuana eased him into a creative mood and healed him from his many ailments after years of smoking cigarettes and drinking alcohol. Imagine if Willie allowed his first experience to foreshadow his opinion of marijuana? Nelson attributes much of his success in his music career due to marijuana’s healing properties. Does Nelson prefer smoking, vaping, or eating his marijuana? The answer is both. He high considers his lungs when choosing which method of consumption – for his career depends upon his lung capacity to perform as he does today. Smoking may not be the best option, he admits. If growers use chemicals and pesticides, smoking is no better than a cigarette. However, vaping doesn’t replace smoking completely. He generally switches between the two methods. Edibles took a bit to adapt. He finds edibles give him a heavy body high that results in the most excellent slumber. Need to sleep? Eat an edible. Marijuana replaced Nelson’s use of cigarettes, pharmaceuticals, and liquor. Nothing changed his life quite like his precious Mary Jane. Which stands reason behind his dedicated activism to end Federal Marijuana Prohibition. Nelson is co-chair of the National Organization for the Reform of Marijuana Laws (NORML). NORML strives to change public opinion regarding the legalization of marijuana and help consumers have access to the safest and highest quality of cannabis. NORML is an awesome organization that lobbies to congress and state legislators, stands in hearing on cannabis, and provides expert testimony for those facing cannabis charges. They’re the forefront of changing the Federal Prohibition. Want to learn more about NORML? Click here. You support reforming marijuana laws whenever you excerise your right to consume cannabis. To support Nelson’s cause, you can purchase Willie’s Reserve products at The Smokin Gun Apothecary. We encourage reformation through education. The more you know, the more you learn, the better you understand truly marijuana isn’t an enemy to the public – just an herb placed here to enrich the lives of humans. We may never reach 100% on the marijuana prohibition, yet again, when are we truly 100% on anything. Oh and when asked if he would smoke with Donald Trump, Willie replied, “Yes. I would. I’d smoke a joint with anyone. I don’t care.” Next time you happen to meet Nelson, maybe you’ll get to smoke a joint together. Thou shall have no others before her. Willie was a booze hound, pill head and chain smoker before discovering marijuana. He quit cigarettes, chemicals and liquor – except for the infrequent glass of wine. Thou shall make graven images on your album cover. Enough said. Thou shall not smoke too much. Abuse her and your lungs will suffer. Keep your system clean. Remember the 4/20 and keep it smokey. Denver happens to do this VERY well. Honor thy duty to Mary Jane. If you wanna be a weed activist, you have to be psychoactive. Thou shall experiment, man. The path to being a true pot prophet, discovery leads the way. Thou shall share your stash. Never horde. Never. Ever. Thou shall harvest thine own crop. Nelson is suggesting that we not get into illegal cultivation but it is a cash cow crop. Let’s farm! This entry was posted in Blog and tagged wilie_nelson_marijuana. Bookmark the permalink. Willy, the national (world?) treasure. Wish I had access to quality weed and good friends to consume it with. Someday! How can someone buy stock in your company. I think it’s worth investing in. The doc told I have four to five years left I COPD fourth stage. I would like to leave my kids something worth investing in. I am living on disability and I would like to know how does one buy stock and where. Willie your music is wonderful and I believe that you sell it then it’s the best and hadn’t trampled with hybrid chemicals.